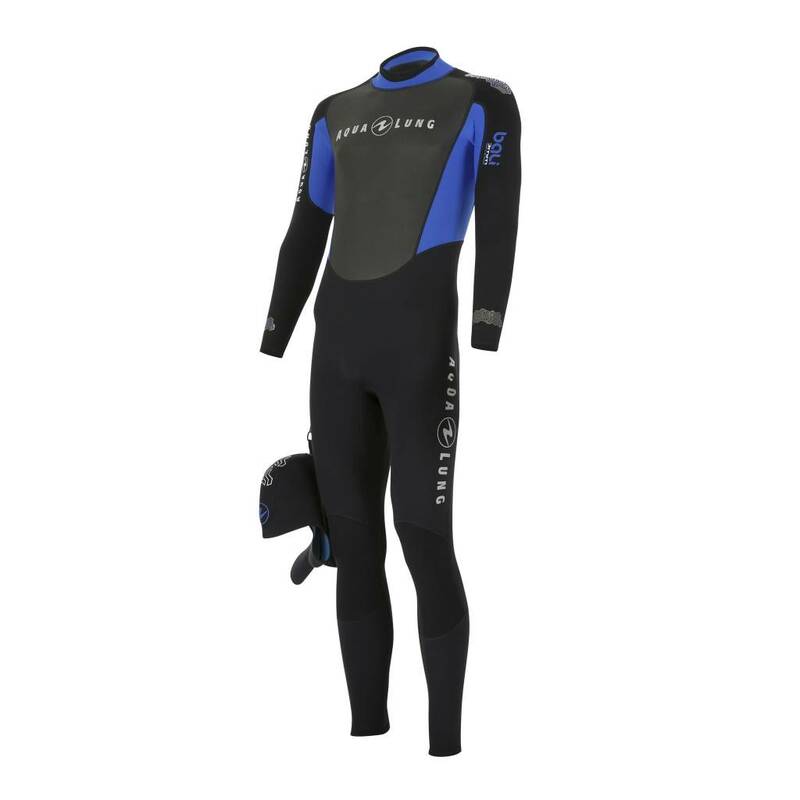 The Aqua Lung Bali 3mm wetsuit is a perfect choice for diving in tropical waters. The lilac or blue designs create a bold and attractive statement while super-stretch neoprene on shoulders, sleeves and armpits ensures comfort. 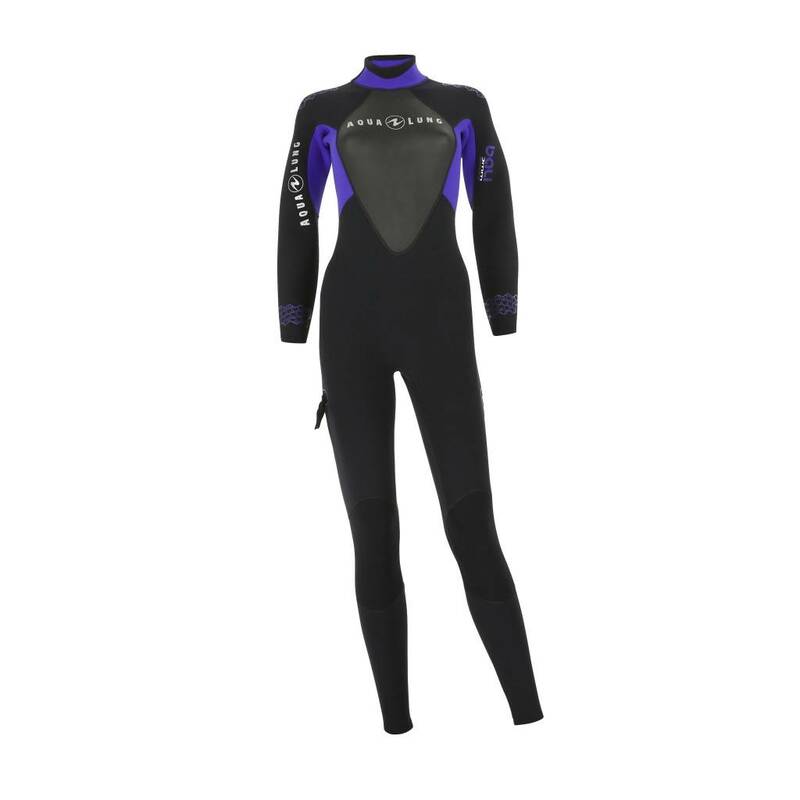 The wetsuit includes a magnetic collar to replace the usual hook flap and a heavy duty zipper with water shield. O-ring seals finish the sleeves and limit water ingress. Added comfort is ensured by the flatlock stitch, embossed Supratex knee pads and pre-bent anatomic legs and arms. The women's suit is available in an attractive lilac colour and the men's comes in a classic blue. At our fantastic price this is a must-have addition to your holiday diving basics.